A new year, means a new you, right? Right. You’re going to exercise everyday, quit sugar and never drink alcohol again? Us too. To get your started, we’ve decoded the most common superfoods that you need to know about right now, so you can totally be the best version of you (for one day at least). 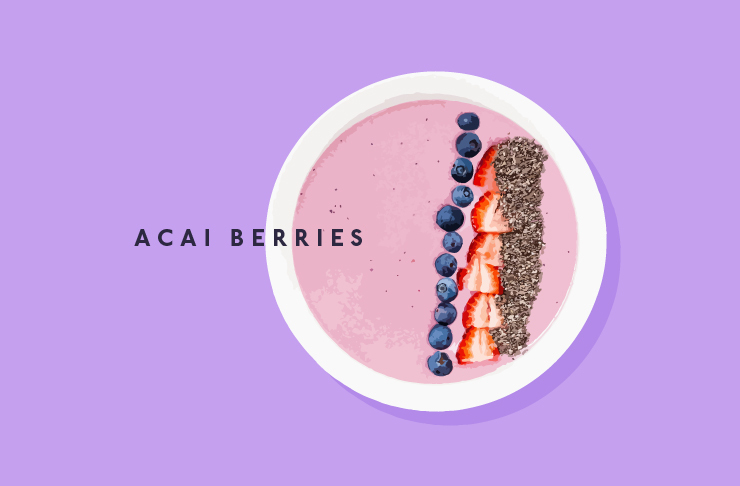 Pronounced ah-sah-ee, get your laughing gear around an acai bowl and you’ll basically be glowing with sweet goodness. Found in the Amazon, this Latino berry does just about everything, from healing to weight loss. Baobab is jam-packed with Vitamin C, antioxidants and electrolytes, meaning it’s almost a superpower in itself. Add the powder to water, smoothies and tea, or sprinkle on your muesli to get your daily dose. Because this year, we’re all going to remember to eat breakfast #goteam. Chocolate lovers listen up! This one’s for you. Ditch the cocoa and swap it for raw cacao so you can eat all the chocolaty goodness you could ever want, guilt-free. With 40 times the antioxidants of blueberries, do yourself a favour. Another one for the chocoholics, carob claims to improve digestion, slow down ageing and boost the immune system. Much sweeter than cacao, which is a win, nibble on carob chips to satisfy your cravings. 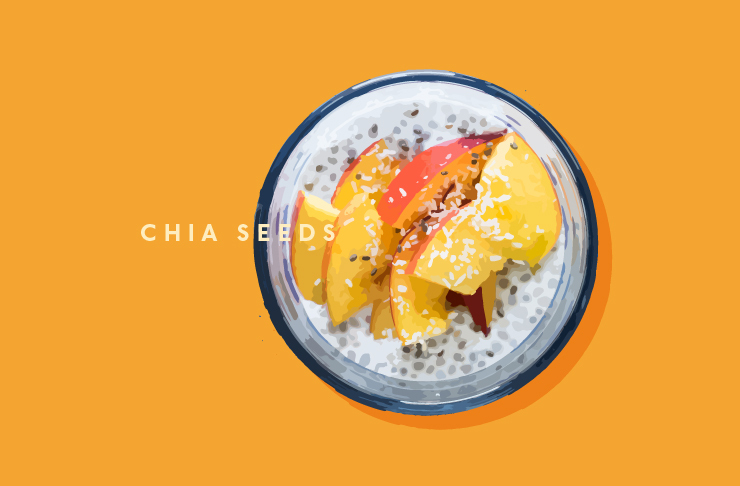 If you’re looking for soft skin and a healthy brain, all you have to do is eat a spoonful of chia. The teeny, tiny super-seeds are the perfect addition to your oh-so healthy overnight oats or green smoothie. Detoxing in January is oh-so necessary, but never any fun, so we vote you pop a chlorella supplement and consider the hard work done. This freshwater algae is loaded with nutrients, and renowned for it’s cleansing properties, improving oral hygiene and promoting cell rejuvenation (goodbye acne). Believed to reduce sugar cravings, balance hormones and promote weight loss, you’d be silly not to get your daily injection of flaxseed. Best in oil form, you can even use it at night as an alternative to serum. If you love carbs and every kind of comfort food to ever exist (risotto anyone? ), you’re probably going to love freekah. With four times as much fibre as brown rice, this green wholegrain actually tastes good too. 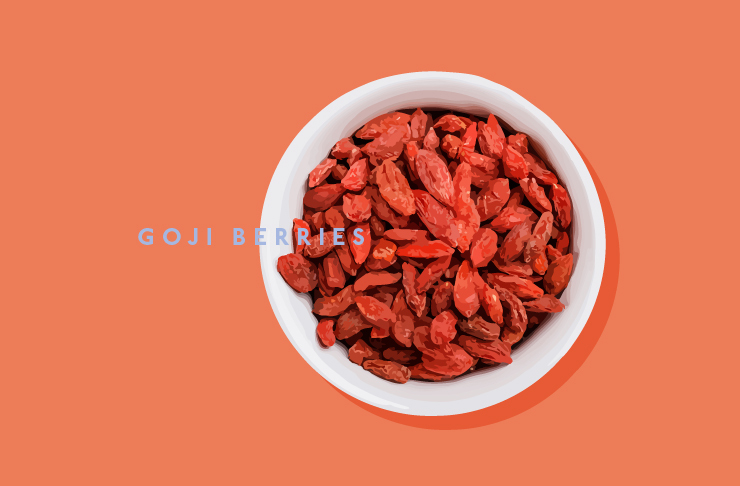 Apparently Goji berries are the most nutritionally dense fruit on the planet. Enough said. The most popular ice cream flavour in Peru, Lucuma is super sweet but low GI and full to the brim with vitamin B3–the nutrient known to aid in depression. You now know what to eat when you’re feeling down about giving up those cocktails. This one’s for the ladies. Used to relieve menstrual issues and boost your libido, the maca root is best in powder form and tastes like that weird malt drink you had back when you were a kid and weren’t allowed milo. If you don’t know what Quinoa is, why are you even reading this? The original superfood, it’s a lighter, healthier alternative to rice (or any other carb you like). Vegans on Instagram seem to love this plant, also known as the Inca peanut. Known for reducing your cravings for snacks, it’s seriously protein packed and helps prevent inflammation. Struggling to get your daily dose of leafy greens? Get yourself some spirulina, for 25 times as much calcium as a glass of milk. You’ll probably live longer too. Smaller than a poppy seed, teff is gluten free and your next pizza base. That’s right, pizza can still be on the menu. You’re welcome. Want more health? Check this out.